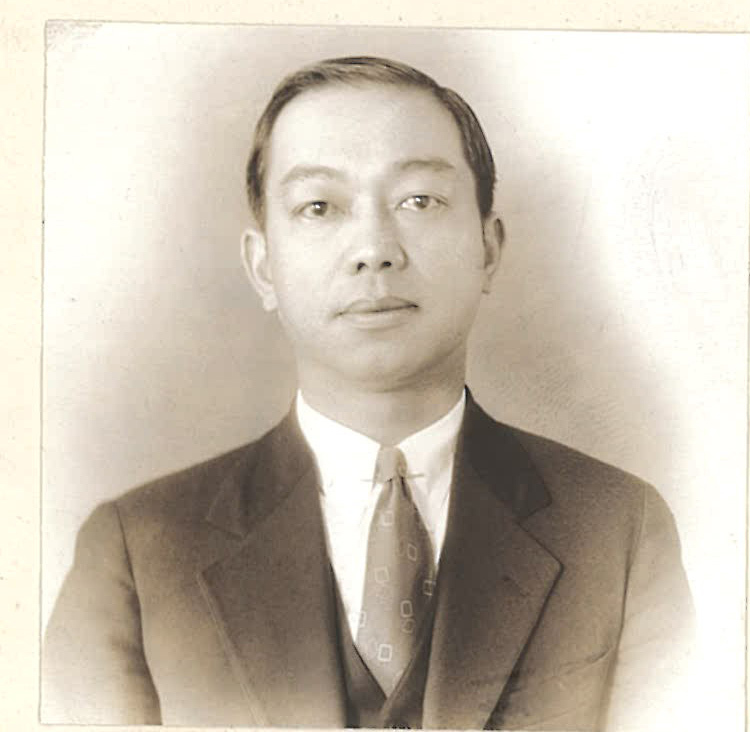 “Lee Tong Wing, M143 photo” Chinese Exclusion Act case files, RG 85, National Archives-Seattle, Lee Tong Wing (Mark T. Lee) file, Seattle, Box 468, Case 7030/1769. Lee Tong Wing (Mark T. Lee) was the son of Lee Loy and Chuey June Ho of Tigard. Lee Loy was a well-known Chinese hop grower in Greenburg, Washington County, Oregon. Mrs. Charles Tigard a former neighbor of the Lees testified favorably for them. The Tigards had been living in their home for 55 years, her husband owned a grocery store, and the area was named after them. Mrs. Tigard identified photos of the Lee parents and several of their eight children, including Mark Lee. The Lee children went to school with the Tigard’s daughter. E. A. Dueber, Immigrant Inspector in Portland believed Mrs. Tigard to be reliable and trustworthy. Lee Tong Wing’s American name was Mark Lee. He was born at Guild’s Lake, Portland on 8 December 1893 before birth certificates were required. He obtained a delayed certificate in 1931. Over the years the family lived in Guild’s Lake, Tigard, and Graham’s Ferry before settling in Portland in 1905. Mark Lee graduated from Portland Trade School in 1915. Mark Lee registered for the draft [for World War I] when the family was living on a farm between Butteville and Champoeg, Oregon. He went back east several times and worked as a mechanic at Northway Motor and Manufacturing Company in Detroit and was a head waiter at several Chinese restaurants in Chicago. He returned to Portland in 1930. He was applying to leave the U.S. for his first trip to China. Mark Lee’s parents and his sister, Yettai Lee Young, were interviewed. A family photo was shown to the interrogator but it is not included in the file. The information given by the three family members was compared and it all agreed. Mark Lee’s father, Lee Loy, marriage name Lee Wun Ung, was 86 in 1931. He was born in Pok Gai Shan village, Sun Ning district, China and came to the U.S. in T.G. 11. He had only been back to China once. Mark Lee’s mother, Chuey June Ho was born in San Francisco about 1858. She and her husband married in Portland in 1879. Mark Lee application was approved and he received his certificate of identity. By that time he was a restaurant manager in Portland. After he was approved he went to China, married, and returned to Portland alone, as was the tradition, and was admitted on 8 March 1932.